With less than 60 days left in the 86th Legislative Session, we have had another very busy week at the Capitol. Not only did the House debate the budget for almost 12 hours on Wednesday, but I also laid out two more of my bills in committees and held a County Affairs Committee hearing. On Wednesday, the House heard HB 1, which is the House’s budget for the fiscal year 2020-2021. After over 300 amendments were filed and almost 12 hours of debate, the House will now send its $251 billion budget to the Senate Finance Committee to be heard next Thursday. Thank you to Speaker Dennis Bonnen (R-Angleton) and Chairman of the Appropriations Committee John Zerwas (R-Richmond) for your leadership during this important process. The House budget including a $9 billion boost in state funding for the public education. Of that, $6 billion would go to school districts, and the remaining $3 billion would pay for property tax relief, only if the school finance reform package passes. The budget plan would also spend $2 billion from the state’s savings account (aka the “rainy day fund”), which holds more than $11 billion. I would especially like to thank the staff of the Texas Legislative Study Group (LSG) Caucus that I have proudly chaired since 2003. Guided by Executive Director Raul Lopez, our 10 LSG staff members (who are all students of the University of Houston Graduate College of Social Work) worked collectively 500+ hours to effectively analyze all 308 amendments prior to the floor debate. The LSG analyzes policy to determine how it will affect all Texas families. The LSG is committed to developing and advancing sound public policies and distributes in-depth policy reports to over 70 members in both the House and Senate every day during session to help members make informed policy decisions based on accurate and balanced floor reports. Rep. Ryan Guillen (D-Rio Grande City) amended the budget to add a veteran crisis line and suicide prevention hotline to the texas.gov website. I am also proud of the work the House Democrats did to progress good amendments that offer real solutions for all Texans. Thank you to Chairman of the House Democratic Caucus Chris Turner (D-Dallas) for your leadership of the HDC through the whole process. On Thursday, I laid out House Bill 3786 in front of the County Affairs Committee that I chair. HB 3786 addresses family drug courts in Texas. During the 84th interim, the County Affairs Committee that I chair found through our hearings that substance abuse is the leading contributor to children entering the CPS system – nearly 2/3rds of child removals are due to substance abuse. A Family Drug Court is a specialty court that is aimed at helping parents with children who are in the CPS system, treat both their substance abuse and help them become better parents, all while the children stay with their parents. Family Drug Courts intervene before children are separated from the guardians and it saves the state money at the same time. In order to keep families together, substance abuse treatment for parents and caretakers must be a priority. Currently there are 13 active Family Drug Courts in Texas. The Travis County Parenting in Recover/Family Drug Treatment Court (PIR/FDTC) provides a model for counties to help families the most in need without relinquishing the child. (PIR/FDTC) has proven to be a success in keeping families together and helping families get the help and resources they need to combat substance abuse. The purpose of this bill is to assist counties in establishing a family drug court for the prevention of, intervention in, or treatment of substance abuse by guardians of children 18 years of age or younger who are at risk of entering or are in the child protection system. Click here to watch the video of the hearing – my bill was the first to be heard. 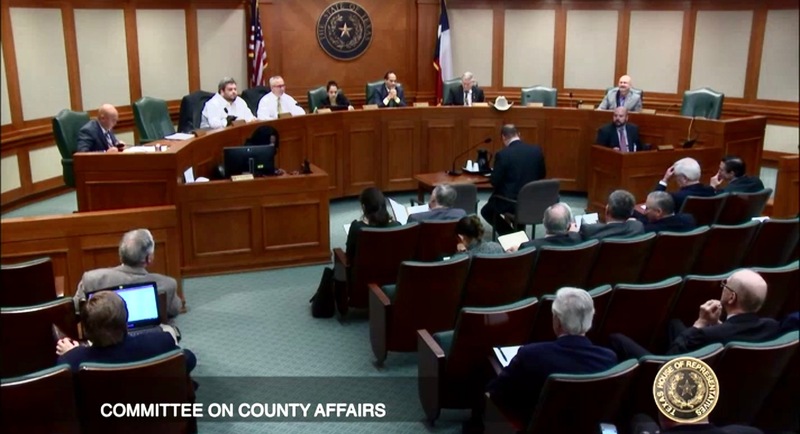 Chairman of County Affairs Garnet Coleman lays out his bill in front of the House Public Ed Committee, led by Chairman Dan Huberty (R-Houston). On the dais from left to right: Rep. Morgan Meyer (R-Dallas), Rep. Diego Bernal (D-San Antonio), and Chair Huberty. On Tuesday, I laid out House Bill 1623 in front of the Public Education Committee. 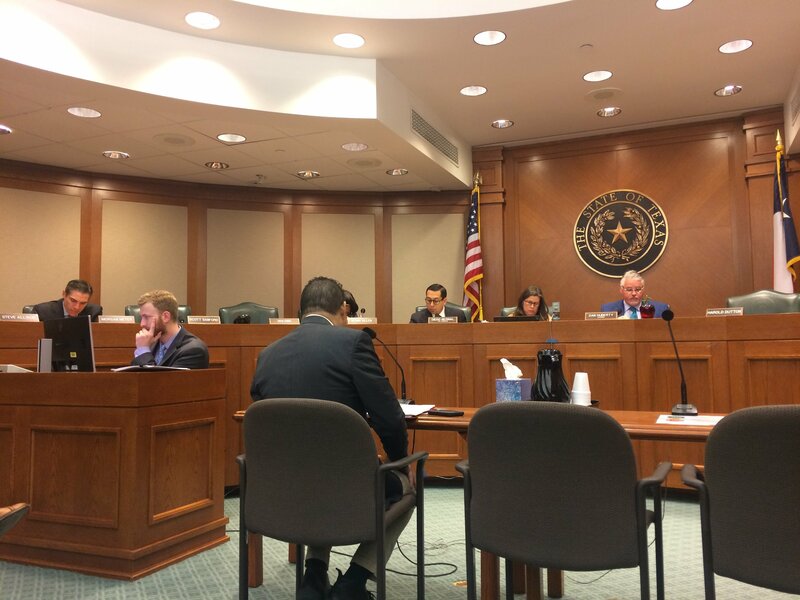 Thank you Chair Dan Huberty (R-Houston) for allowing me to present my bill to the Committee. I have filed this bill before and have been working on this issue since 2011. I helped start mental health training in our schools by passing HB 1386 (82R) in 2011 making several approved forms of mental health and suicide training for teachers optional. I have already built on that legislation by writing and passing HB 3224 (83R) in 2013 making it mandatory for schools to implement these intervention plans so that all teachers will be trained to recognize early warning signs of bullying, substance abuse, and mental illness. The legislation was successfully signed into law through the companion bill, SB 560 by Senator Bob Deuell (R-Edgewood) in 2013. This training was expanded to all school personnel in 2013 through companion bills HB 2220/SB 133 (84R) that I authored with Senator Charles Schwertner (R- Georgetown). Furthermore, companion bills HB 2218/SB 674 (84R) in 2013 that I authored with Senator Donna Campbell (R-New Braunfels) aligned mental health training for both new and old teachers. In 2017, I joint-sponsored SB 1533 (85R) by Senator Jose Rodriguez (D-El Paso) to expand mental health training to university employees. Without these bills that I passed, it is likely that many teachers and school personnel would not receive this vital training. It is well documented that loss and trauma may lead to poorer academic performance, involvement with the juvenile justice system, and in extreme cases, suicide. Events like Harvey and the Santa Fe shooting only emphasize the need for a robust emotion and mental support system at schools. Research has proven that educators, whether they are teachers, administrative staff, or counselors, are a critical point of entry for identifying and possibly alleviating the trauma their students’ experience. The purpose of HB 1623 that I filed this session is to expand the staff training that school districts and open-enrollment charter schools are required to provide to counselors, teachers, nurses, administrators, and law enforcement officers to include trauma and grief-informed practices. The bill aims to properly train educators to recognize and monitor signs of physical and emotional trauma and reach out to parents for any further action, such as seeking mental health services. HB 1623 also ensures that schools are properly reporting which staffers have received training and that this information is open to the public. Click here to watch the hearing – my bill was the first to be heard. 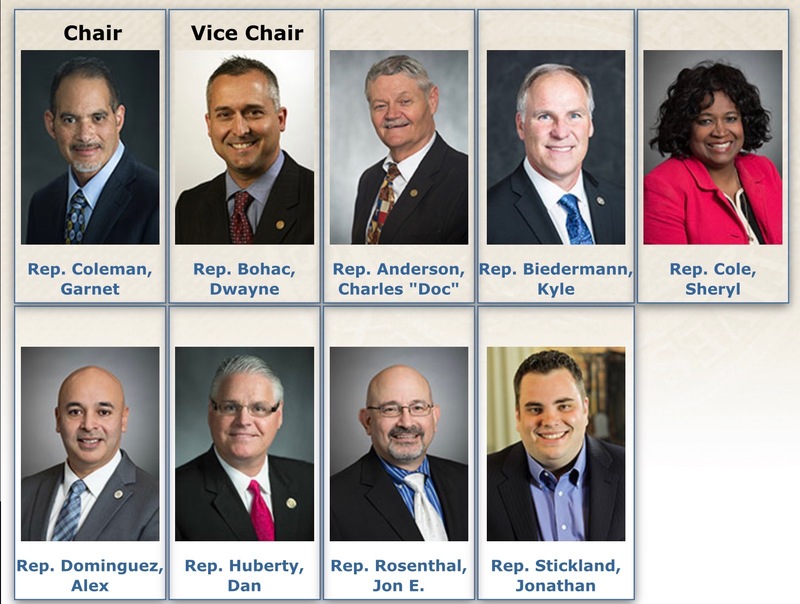 County Affairs Committee members on the dais from left to right: Rep. Alex Dominquez (D-Brownsville), Rep. Jonathan Stickland (R-Bedford), Rep. Dan Huberty (R-Houston), Chair Garnet Coleman (D-Houston), Rep. Doc Anderson (R-Waco), and Rep. Jon Rosenthal (D-Houston). On Thursday, the County Affairs Committee that I have chaired since 2009 held another hearing where we heard other members’ bills. See below for the list of bills we heard.Click here to watch it. Relating to fees for services by the offices of the sheriff and constables. 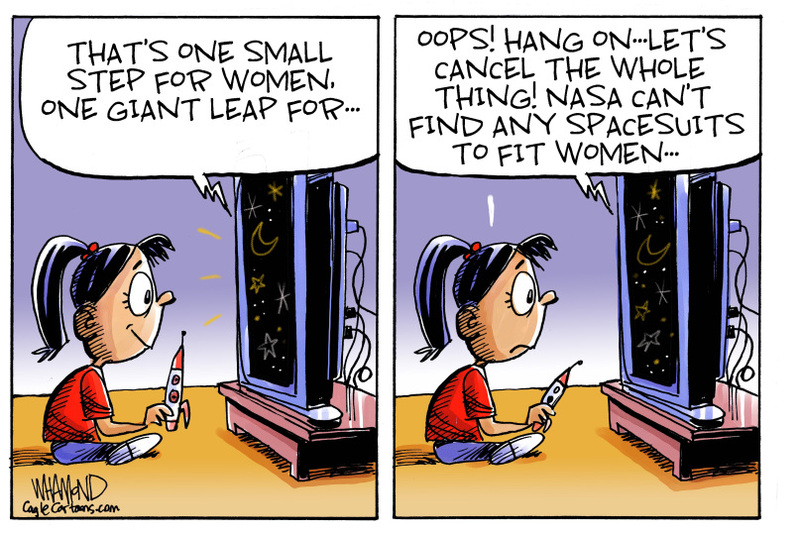 HB 1047 – Guillen | et al. Relating to authority of certain officers of certain counties to disburse or direct payment of county funds for salaries or expenses. Relating to continuing education training on civil process for constables. Relating to the composition of the Commission on Jail Standards. HB 1651 – González, Mary | et al. Relating to the care of pregnant women confined in county jail. Relating to reporting concerning certain prisoners who are confined in county jails for misdemeanor offenses. Relating to the repeal of a provision governing the operation of jail commissaries in certain counties. Relating to deputy sheriff civil service appeals of certain sheriff’s department actions. HB 2169 – Allen | et al. Relating to reporting concerning female prisoners who are confined in county jails and to the provision of feminine hygiene products to female prisoners. Relating to the portion retained by a municipality or county of certain court costs and fines imposed for a criminal offense. Relating to training requirements for certain county jailers. Relating to providing free access to telephone services for persons confined in county jail pending trial. Relating to county jailer training and continuing education requirements regarding interacting with pregnant women confined in jail. Relating to the establishment of a task force to conduct a comprehensive study on best practice standards for the detention of persons with intellectual and developmental disabilities. Relating to the training requirements for a person appointed as a county jailer. Relating to establishing family drug courts in counties. HB 3894 – Muñoz, Jr. Relating to sheriff’s department civil service systems in certain counties; creating criminal offenses. Our video of the week is from PBS NewsHour: What New York state’s lawsuit against Purdue Pharma says about U.S. opioid battle. You can watch below or click here. Our song of the week is “I Got 5 On It“ by Luniz. This entry was posted in Uncategorized by Rep. Garnet F. Coleman. Bookmark the permalink. © Copyright : Garnet F. Coleman. Paid for by the Committee to Re-Elect Garnet Coleman. Gloria Coleman, Chair. Mrs. Herman A. Barnett, Treasurer. Contributions are not tax deductible. No corporate donations please.